Whether you buy them at the supermarket or grow them in your own garden, summertime's glut of zucchini represents an embarrassment of riches. With the very best of intentions, it's altogether too easy to load your refrigerator with more of the versatile squash than you can quickly use. Their useful storage life is typically a week or less, so it's important to understand and recognize signs of spoilage in zucchini. Lift the bag of squash from your refrigerator and hold it up so you can see the zucchini through the bag. If they're visibly turning pulpy at the bottom or are mired in a white, milky-looking liquid, don't even bother opening the bag. They're spoiled and should be discarded or composted. Open the bag if the zucchini are not grossly spoiled. Lift out one of the squash. Examine it for obvious damage such as large soft or bruised spots. If you see any, use a paring knife to cut away the spoiled area. If the bruised spot is shallow, the remainder of the squash is usually still usable. Slice the zucchini lengthwise if the spoiled area extends deeply into the squash. Examine the interior for streaks of discoloration or soft, watery-looking areas. If the damaged sections are localized, cut them away and use the rest. Alternatively, if they run though much of the squash's length, discard the zucchini. Squeeze the zucchini gently if it has no visible damage or spoilage. If it's slightly rubbery, it is still sound but is losing its freshness. Do not serve it raw. Instead, cook it in soups, stews or fritters, or shred it for use in baked goods. Alternatively, if it's still plump, firm and rigid, with skin that is still glossy rather than matte, it's in excellent condition and can be used in any of your favorite preparations. 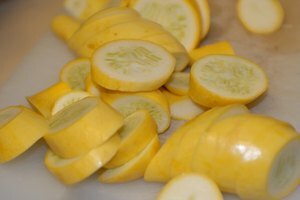 Zucchini and other summer squash can be kept for three to five days at room temperature without ill effect, or refrigerated for up to a week. Don't wash the squash until you plan to cook them. Washing the squash shortens their storage life dramatically. 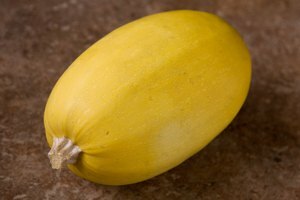 Eat By Date: How Long Does Summer Squash Last? U.S. Department of Agriculture Food Safety and Inspection Service: Molds On Food -- Are They Dangerous? 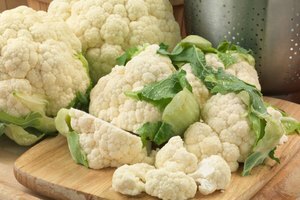 How to Tell if a Head of Cauliflower is Bad? How Long Does Zucchini Stay Fresh? How Long Can You Store Grated Zucchini in the Fridge?